I've been really impressed with a lot of what Marmot has to offer so this jacket caught my eye when I came across it. The first point of note was the fact that it had a 5 star rating after 90 plus customer reviews. That's a really good batting average so I thought a fuller review of the Marmot Optima Goretex Jacket was in order. One thing I should mention from the start though ... I've searched around and I couldn't see many other places selling this particular jacket so I am wondering if maybe this particular model has seen the end of it's lifecycle. Doesn't really matter if that is the case but just thought I would mention it. Please note this product may no longer be available. You can view more men's rain jacket options here. A great jacket that will meet nearly every hikers needs. This jacket mat no longer be available. If not, be sure to check out the next generation of it, the Marmot Minimalist jacket. The Marmot Optima Gore-Tex PacLite®, is made from Gore's lightest most packable waterproof breathable technology. The jacket is lightweight coming in at 1 lb so it's a perfect rain jacket to take with you when the forecast ahead is changing and challenging. This ultralight, packable shell will keep you going hard through the worst of conditions. This jacket is a comfortable fitting waterproof jacket that provides breathable protection while on the move in any inclement conditions. Durable and windproof, this jacket is an ideal travel companion that will fit snugly into your pack when not needed. The jacket is fully seamed with adjustable hood and storm flaps to provide full waterproof protection whether you're trekking on the trail or crossing the city. See the customer ratings below for just how good this jacket is. With an average of 5 stars out of 5 across 90+ reviews, delivering comfort and style you can see why this waterproof hiking jacket is a popular choice among many. The Marmot Optima Goretex Jacket is a fitting companion for any hiker out on the trail. It not only looks the part with its sleek design and fit but it is also very functional. As always, a reasona of a quality jacket is the number of great customer reviews it has and this Marmot jacket comes up trumps in that department! If you're new to buying a rain jacket for the trail, check out the buying advice here. Also, for some other great rain jacket options, check this page out. Have you ever used the Marmot Optima Goretex PacLite Jacket out on the trail? I'd love to hear about your experience with it in the comments below! The Keen Pyrenees hiking boots for women are a popular option at a very reasonable price. From my first glance at these they have a lot of nice features so let’s take a closer look. Links referenced on this page are also sponsored links. Please review our full disclosure statement here. The Pyrenees hiking boots are a nice lightweight pair of hiking boots from Keen at a very affordable price. Looking at their material make-up first, they have a smooth leather upper and a gusseted tongue to keep debris out. The collar of the Keen Pyrenees boots and the tongue are leather-lined providing a nice finish to fine looking pair of boots. They have a waterproof breathable membrane and utilize KEEN.DRY® waterproof breathable protection. Foot support is provided via a metatomical EVA-cushioned footbed which is also removable. The boots have a heal tab for easy pull on / pull off and 4mm rubber multidirectional lugs on the outsole for grip. The toes of the boots sport reinforced rubber toe caps and the heel is built to provide good suspension and stability to withstand shock from all types of terrain. The final thing to mention is the customer feedback on these boots. Scoring an average of 4.5 out of 5 stars across 30+ reviews is a good batting average by anyone’s standards. Overall, I think the Keen Pyrenees are a good year round (most of it) hiking boot. I don’t think they would be great for very tough Winter conditions but should be fine for three season use and lighter winter conditions. They have a lot of the standard features you’d expect in a good hiking boot and the price is very attractive. I would normally be a little concerned about a very low price too though as that can be an indication of sacrificing quality for economy. However, the Keen Pyrenees have a lot of very positive user feedback so they may just have struck that balance very well. I think this is a perfect boot for the average hiker hiking once or twice every week or so on marked trails and treks through forests and hills. Have you ever used the Keen Pyrenees Hiking Boots? Are they as good they sound for the price? Let us know in the comments below. The Merrell Chameleon Arc 2 Rival hiking boots are a nice pair of boots. At a reasonable and reachable price for most, these boots should keep you dry and comfortable most of the year round. Lets review some more detail about this functional pair of boots below. Merrell’s Chameleon Arc 2 Rival hiking boots are designed to provide extra stability in the heel and improve flexibility in the forefoot. A waterproof breathable membrane ensures your feet will stay dry out on the trail while the Q-Form® Comfort midsole will provide the necessary cushioning to provide consistent comfort for the duration of all your hiking adventures. The gusseted tongue comfortable keeps water and debris out while the AEGIS Microbe Shield® is antimicrobial is a nice addition that helps control the bacteria and fungi that cause bad odors. The insole is removable while the vibram outsole provides the necessary technology to keep your feet gripping to the ground over challenging terrain. With an average of 4 stars out of 5 across 30+ reviews, this is another comfortable boot option for the trail with many satisfied customers already enjoying its sleek look and feel! Waterproof breathable membrane boots can be worn on the trail all year round (except in extreme temperatures). Solid, sturdy, durable and lightweight with good ankle support. Tongue and heel loop for easy on-off works well. Vibram outsole provides good traction over varying terrain. Watch sizing for this boot. You may need to order half a size larger. Weight (pair): 2 lb. 2 oz. A nice all year round boot, in most conditions, for the average day hiker but sturdy enough to take on the odd extended backpacking trip or two across the year too. I like the look of these boots, the capabilities (basic but functional) and most of all, the price. Will suit most folks! If you’re still not sure if these are the hiking boots for you, check out our hiking boot recommendations here. Have you got a pair of Merrell Chameleon Arc 2 Rival hiking boots? How have you found them? I’d love to hear about your experience in the comments below! In this post I review the Berghaus Mens Hellvellyn Pant which I recently bought as an addition to my hiking rain gear for the fall and winter seasons ahead. I’ve been very pleased with them to date. They’ve performed well in tough conditions and, overall, they’ve proved very functional and easy to use. Cool Hiking Gear Rating: 5 Stars out of 5! Recently I was on the lookout for a new pair of Rain Pants. Generally speaking I wear water resistant trousers when hiking which are great. They have a bit of resistance to the onslaught of the rain and, more importantly, they dry quickly. However, for really wet weather, you need another line of defense for your legs on the trail, namely rain pants. So the quest began to find and buy a good pair of rain pants. After looking around I came across the Berghaus Mens Hellvellyn Rain Pants. I liked them from the start and didn’t really feel the need to look around at lot’s of other options (a good sign as that rarely happens). For the purpose I needed these really looked to fit the bill. I like Berghaus gear and have had very positive experiences with some of their other stuff so that also tipped me towards these pants from the start. In terms of function, first off they are light weight and easy to pack away in your day pack. Hiking in Fall and Winter, layering is of course the best way to prepare and wear your hiking gear and I found these pants to be perfectly suited for that process. They roll up nicely and be tucked away until you need them. The zips along the sides of the pants, as displayed in the picture below, mean that these pants are easy to slip on over your hiking boots while on the trail with minimum fuss or hassle. This has been a pet peeve of mine in the past with other waterproof over-trousers so the thumbs up on that count here. Simply open the bottom zip nice and wide and slip on, no boot removal or fiddling required! The bottom of the trousers also have two button fasteners for extra sealing of the hems at the base of the trousers as well so you can secure them to prevent any lose bits from flapping in the wind as you hike in tougher weather. A neat little feature in these trousers is that that there are actually two zips, one at the bottom and one at the top, along the side of the pants which run in opposite directions into one another as displayed in the picture below. The bottom one is perfect for the aforementioned slipping on over hiking boots and the top one is perfect for adding that extra bit of ventilation as and when required. I really like this simple but useful feature and found it very easy to use and work with when I took these pants for their first test run hiking last weekend in the pouring rain. The pants also have a waist fastener which means you can adjust by tightening or loosening at the waist as best required to meet your fit over your other hiking gear layers. These rain pants are made from tough Gore-Tex. If you don’t already know, Gore-tex is a common standard material technology used in waterproof gear. It utilizes micro pores to let vapor, like sweat, out while keeping rain from getting in. This of course means your legs can breathe easily and remain comfortable while still remaining relatively dry in the wettest of conditions. It’s worth noting the two zip function here again, really handy and quick way to ventilate your legs. All-in-all, these pants get the thumbs up! They are very well designed and have all the required technical features to meet all your hiking needs when hiking in very wet weather. Not only are they very functional, in that they’ll keep you dry, but they are easy to use and really look the part with a comfortable and adjustable fit. Updating this after a couple of years of use … I’ve been very pleased with them when I have needed to use these on my hiking. Two years in and they’re still in good working order after weekend use over the last two years. I also used them when I climbed Mont Blanc in 2014 and they were excellent. I even slid part of the way down from the Tete Rouse hut in them … no tears or rips afterwards … a great way to travel! Have you tried out the Berghaus Mens Helvellyn Pants? I’d love to hear about it in the comments below! Links referenced on this page are sponsored links. Please review our full disclosure statement here. These gaiters are waterproof, lightweight and breathable made with ultralight 70 denier Gore tex. They have touch fasten and snap closures which mean they are easy to put on and take off. They have a durable 8 ounce packcloth foot section for abrasion resistance and a nylon-supported adjustable rubber instep strap that wraps under your hiking boots securing the gaiter to your feet. These gaiters are ideal for keeping your boots and legs dry up to your knees for small river or creek crossings. They are also perfect for walking through dirt and debris and will keep offending material safely out and away from your boots. With the abrasion resistance these gaiters have they will also do an excellent job of keeping your legs from getting snagged on any thorny plants or jagged rocks. As the gaiters weigh next to nothing they are also perfect for carrying in your pack while day hiking. These gaiters are also suitable for hiking in snow and with their quality construction they will last a long time. While we’re of course always looking for great gear for hiking here at cool hiking gear, I do love it when gear can double over and serve other functional uses and, as with lot’s of hiking gear, these gaiters are no different. When not being used for hiking in the hills, they can be comfortably used to help cope with any nasty winter commuter weather, I’m thinking city slush in particular. Overall customer experience with these gaiters is very positive, see sample below. Where I did see some minimal negative feedback it was all related to sizing and nothing wrong with the actual gaiters themselves. As always, take some time to be sure you get the right sizing option for you. With the winter months coming, these gaiters will be a good addition to your hiking gear kit and, I really hate to mention this so early but what the hell, would form a perfect Christmas gift for the hiker in your life! From all the positive customer experiences I have read, it is clear that the Outdoor Research Cascadia gaiters are a quality offering that are not only well designed and fit for purpose, but they’re also a comfortable companion to your hiking boots on the trail. If you’re in the market for a pair of gaiters, you could no worse than choosing these! Have you ever used Outdoor Research gaiters before? What was your experience? We’d love to hear about it in the comments below! Getting the Haglofs Crag Gore-Tex Jacket is an investment in comfort and enjoyment that will remain with you on all your hiking adventures. Not only is this top of the range jacket waterproof, ensuring rain and moisture are kept out, but it’s breathable technologies and other comfort enhancing features will ensure your body remains dry and comfortable on the trail no matter what pace you are pushing yourself to. In this post we review the main features of this jacket, how well those features work, how durable and tough this jacket is, highlight any drawbacks and list where to get the best deal on this jacket on-line. By the end of this review, you should have a good idea if the Haglofs Crag Gore-Tex Jacket is right for your hiking needs. To start, below is a list of the key specifications of this jacket. In comparison to a standard DWR (Durable Water Repellent jacket) coated jacket where water is only kept out, the Haglofs Crag Gore-Tex Jacket jacket has a waterproof Gore-Tex breathable membrane. The main advantages of this to DWR only are that the membrane pores of the jacket are small enough to stop water and moisture, like rain, from getting in but versatile enough to also let moisture from your body out. This greatly helps with temperature regulation while hiking in varying temperatures which as we know can change considerably as you move in and out of wind, ascend, etc. To further aid temperature regulation, this jacket has pit zips. These are zips at the side of the jacket under the armpits that can be opened to let in added ventilation. This is a nice feature which we are starting to see more and more of in good hiking jackets and one I personally like and look for. The hood on this jacket is firm and peaked. This means the hood holds in place so that water will run off and away from your face which is an important feature to have in heavy rain. The hood is also detachable so it can be removed when not needed. Draw cords and touch fasteners throughout the jacket ensure you can adjust the jacket to find the best comfortable fit for your body. This jacket also has plenty of pockets which is always a good thing. I like the alternate placed chest pockets, these provide easy access which is perfect for the trail when the rain is pelting down and you don’t want to spend time fumbling through pockets inside your jacket and letting rain inside, in the process. As far as style and looks go, this jacket meets the mark. Its sleek appearance ensures that you will look just as well wrestling your way across town in heavy rain as tackling any mountain trail. Customer experiences of this jacket are very positive. Some points to note are that you will need additional clothing underneath for very cold temperatures, less than -5C, so you want to be sure to leave enough room for some extra layering if you will be in that range of temperatures. One issue I found with this jacket that one review mentioned was that it was not a good fit, even in the 2XL size, for very tall men so this might be something to keep in mind if you’re very tall. However, I also found a contradictory comment on the same review saying the very opposite! As with any of these things, you always have to be sensible with size and most folks know what works for them. Waterproof, Gore-Tex breathable membrane keeps you dry, cool and comfortable on the trail in challenging weather. Broad collar and peak hood keeps rain away from the face. The hood is easily detached when not needed. Two layers in the jacket ensure durability. Plenty of pocket space inside and out. Extra layering needed if it’s very cold (this can be viewed either as a con or a pro – sometimes I like the versatility that extra layers give you but not so much when it’s very, very cold). Total weight: 1 lb. 14 oz. In conclusion, if you’re a part time hiker and tend to avoid hiking in inclement weather, I wouldn’t go all out and get a high spec quality jacket like the Haglofs Crag Gore-Tex Jacket, there are many more quality waterproof hiking jacket options available that are better suited for casual hiking at a cheaper price. If however, you’re a regular hiker and need a good, solid, functional and aesthetically pleasing jacket for all types of weather on the trail, the Haglofs Crag Gore-Tex Jacket ticks all boxes. With its top level features like the waterproof, breathable membrane, pit-zips, etc. you can be sure you’re getting a quality jacket that will give you countless comfortable and quality experiences. Where to Buy: This product is no longer available. Check out hiking pant options here. I bought these pants last July. I wanted a pair of lightweight pants that are a bit warmer in the cool of the dawn but with the ability to enable direct and immediate ventilation by removal of the bottoms to convert them into shorts. you approach midday so these looked perfect for the job. These pants are part of the Columbia PFG (Performance Fishing Gear) line but I found them perfect for hiking too. I had no issues with these pants. I found them comfortable, lightweight and enjoyable to wear. They were also easy to convert into shorts with a simple zipper around the leg and a boot zip on the side for easy removal over boots. They have good pocket space with touch fastening which is functional and easy to use. As I was changing gear regularly on the Camino I needed something that was easy to wash and quick drying. These pants fit the bill with regards to that. They were easy to wash (washed them in the shower with me) and dried in no time in the heat of a Spanish afternoon! I give the Columbia Sportswear PFG Backcountry Convertible Pants the thumbs up! UPF 30 rating may be too high if you will not be in regular or constant hot sun so you might want to review the Columbia Sportswear PFG Convertible Pants – UPF 15 version of these pants. Lightweight, cool and comfortable for the trail in warm weather. Easy to convert to shorts with zips around the thigh level and up the side of the leg for easy removal remove over your hiking boots. As the pants are made from 100% nylon, and with the functional nature of the material, these pants are easy to care for. They wash easily and dry quickly. UPF protection for added protection if hiking in consistently hot and sunny weather. Insect repellent finish is a nice addition to these pants although I’ve had no need for that feature as yet. The pants are a little bit baggy in the fit (I didn’t really mind this though). Products returned within 6 months refunded by original payment method. Have you used the Columbia Backcountry Convertible pants out on the trail? What was your experience? We’d love to hear about it in the comments below! I bought the North Face Men’s Flex Crew Short-Sleeve Tee a few weeks back in my local outdoors store. I purchased the Nautical Blue one, displayed below, as I liked the mix of light and dark blue colors. 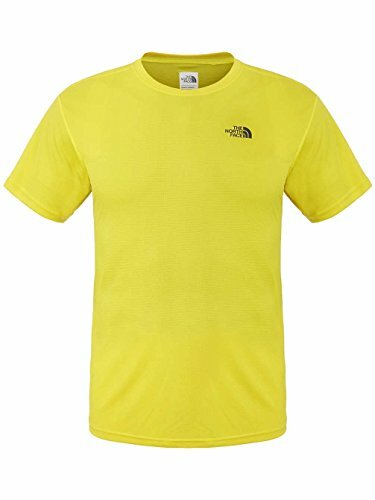 I have used this tee on several hikes now and have had no issues with it, I have found it comfortable to wear and it does what it says on the tin. So thumbs up for the North Face Men’s Flex Crew Short-Sleeve Tee! Be sure to check out the sizing guides when purchasing and compare to other tees you may have. The reason for this is that I normally wear a size large in tees. However, while the large tee fit me fine I tried the medium on too and it actually fit me better than the large. I often come across anomalies like this when purchasing gear so no big deal, just something to mention for you to keep in mind! I chose this tee as I need breathability in all my clothes when I am out hiking. I also need good wicking capability as I tend to sweat quite a bit on harder hikes, especially in summer, so I need that to keep me dry. In that context, this tee meets the mark. Looks wise, I think this tee is quite stylish so it won’t look out of place in the gym, out running or even as a casual top with jeans on a lazy Sunday. As it’s made from 100% polyester, and with the functional nature of the material, it will be more or less dry as soon as you take it out of the washer, just hang it up for a couple of hours somewhere warm to get it completely dry. A lifetime guarantee comes with this product which underlines the confidence in quality The North Face provide. Not a whole lot of cons for this tee really. Care wise, and this is a minor thing, you need to be careful not to wash it above 30C / 86F so it probably isn’t best suited for a standard wash cycle. That said, most of my hiking and running gear requires the same lower temperature type of wash so I always do a separate special wash cycle each week for all my hiking and running gear so not a big deal for me. At thirty dollars, this tee isn’t cheap. However, I like North Face gear as I know I am getting quality so I have no problem paying for it. Upgrade your gym gear, starting with this technical tee that’s designed to keep you cool during your most strenuous workouts. Knit mesh panels improve breathability for better moisture management. The drop-tail hem provides extra coverage when you’re executing a set of pull-ups or deep squats. Constructed with flat-locked seams to reduce chafing during strenuous workout sessions. Do you like the North Face Men’s Flex Crew Short-Sleeve Tee? Let us know in the comments below.